Does muman belong in this group? Fishing is my passion I only catch & release fish. Largemouth bass fishing is my passion. I just love it. I would like to find a girl that loves to bass fish as much as i like to do. Does xsneakyx12 belong in this group? Lets reel me in a pink one! 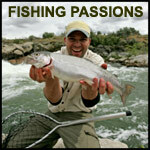 I like freshwater fishing, its a very calm and relaxing sport. I'm a hugh fan of catch and release fishing. I don't believe in harming animals. I like fishing old fashion style with a spin-cast rod, some night-crawlers and a good old bobber. So ladies come and let me reel you in a good one. I prefer salt water but lately just freshwater. I love saltwater fishing. It has been a long time since I have gone but would enjoy every minute of it when I go again. I go freshwater fishing with my son a lot. I do not eat fish so I mainly catch and release unless my son catches a frog or something small I can put in the fishtank for him to enjoy. Does gngxdwnxonxu belong in this group? Does sundancer61 belong in this group? Does sbfirekid belong in this group? Does iamevoled7070 belong in this group?